The new wave of McCarthyite smears and repressive laws is unprecedented. Israel has long fought against its most vocal critics. But what we see unfolding now both in terms of repressive laws and also of strategic attacks coming from the far right is unprecedented in recent history, and thus warrants our close attention. In particular, both the state and the ultra-right are targeting Breaking the Silence, a group of former Israel Defense Forces members who step forward to offer testimony about and graphic evidence of the nature of the occupation. The Knesset is now debating a law targeting the group, one that calls it “a subversive organization acting to change Israel’s policy by ways that are not part of the acceptable rules of a democracy and by exerting international pressure that causes Israel damage.” It is not clear how speaking out and giving witness are “not part of the acceptable rules of a democracy,” but it is clear that what some Israeli politicians fear is that BtS is both challenging Israel’s strange brand of “democracy” and appealing in powerful ways to the international community to bring justice to Israel where Israel has failed. Israeli ministers have voted in favour of a bill that will crack down on human rights groups receiving funds from abroad, a move EU officials said was reminiscent of totalitarian regimes…. Opponents say the bill unfairly targets leftwing organisations critical of government policy, leaving rightwing pro-settlement groups immune from the same scrutiny, as those tend to rely on private donors—who are exempt from the measures. The reaction outside Israel has been one of dismay and concern. Haaretz reports that “The ambassadors of Germany, Britain, France, Holland and the European Union…made their displeasure known to both Shaked [Justice Minister Ayelet Shaked, a sponsor of the bill] and the Prime Minister’s Office,” and the US embassy noted the “chilling effect” the bill would have on NGO activity. Coupled with official state power are ultra-right groups that seem to act with the tacit approval of the state to smear BtS. As The New York Times reports, these groups accuse human rights NGOs of being foreign agents, or moles, obviously attempting to paint Israel as besieged by nefarious foreign influence. 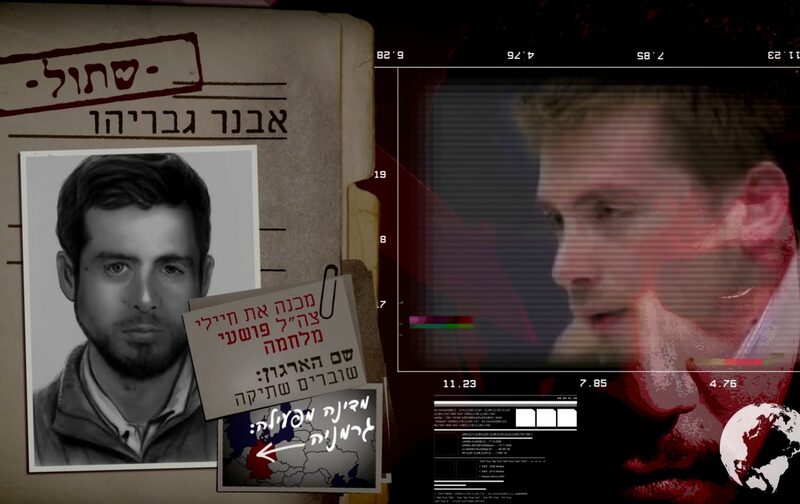 For instance, Im Tirtzu, an extremist Zionist group, recently released an inflammatory video titled “The Foreign Agents— Revealed!” It shows a Palestinian man starting to attack the viewer with a knife and then cuts to the photographs and names of actual Israeli human rights workers receiving aid from abroad, suggesting that they aid and abet such attacks. Those being targeted as “foreign agents” include prominent artists and writers such as David Grossman and Amos Oz and leading actress Gila Almagor because they serve on the public advisory board of the human-rights group B’Tselem, which monitors Israeli abuses in the occupied territories. To date, more than 100 artists are on the blacklist. The American Prospect calls these “attacks against Israel’s progressive community” the face of a “new McCarthyism.” The denunciation of human-rights workers Ezra Nawi and Guy Butavia of the group Ta’ayush led to their arrests; media campaigns that smear the reputations of rights workers and their supporters do the work the courts fail to do in intimidating and silencing opposition. “In most cases, it turned out he was right,” Ronen Shoval tweeted in Hebrew a few days ago. The “he” in that sentence refers to Joseph McCarthy. Shoval, founder of the attack-dog organization Im Tirtzu, was responding to critics who charge his organization and its allies in government with McCarthyism, as described here in Peter Dreier’s article this week. David Palumbo-Liu: How do you read this new repression of human rights organizations and of Breaking the Silence in particular? DP-L: What do you think is causing the pressure bringing these people together? ON: People have argued for years over whether Jewish democracy is conceivable or possible. Regardless of whether a Jewish democratic state is conceptually possible, it seems like it’s been a burden on many Israelis. It’s been a burden to try to pull that off. Whether this burden is because of some kind of philosophical mistake on their part or some particular understanding of Zionism or Judaism that chains them to a certain kind of anti-democratic vision, I don’t know. The fact is that it’s been a burden, and one of its most striking expressions is the tension between the occupation of the territories and the rule in Israel proper. This tension is the embodiment of the tension between a Jewish and a democratic state. If you want to understand it, look at the fact that Israel is controlling millions of people by sheer force, denying them basic civil rights, while at the same time Israel wants to have, or has had, institutions that purport to serve all the residents of this country. This tension can be resolved in either one of two directions: toward the Jewish pole or toward the democratic pole. Again, this is not because a Jewish democratic state is in principle impossible, but because it is experienced by most residents of Israel as impossible. Obviously, the one-state talk is ambiguous—will it be a democratic one state or an apartheid state? This is why I called it the one-state problem. It’s almost as if Israel has exhausted itself maintaining the pretense of a liberal democracy and wants to deposit itself in the hands of religious, ethnic zeal. At the same time, of course, there are many Israelis who are deeply committed to liberal democracy. Hence the attack on the left, which is seen as a self-righteous, nagging angel that whispers condemnations in Israel’s ear. DP-L: Why is Breaking the Silence a particular target? ON: Breaking the Silence was targeted together with B’Tselem and a couple of others. These are some of the main NGOs on the left. There are two narratives about this. One narrative—which some NGOs and various people who might be called part of the radical left in Israel have endorsed—is a story that says, “We thought we were being ignored and have no influence of Israel society, but these attacks show how much of a threat we are. We’re so much of a threat that we’re targeted in this extreme way. And insofar as we are a threat, we are relevant. We matter.” That narrative has some appeal; it has a lot of truth to it. However, there’s another narrative that says the right is very strategic about what it does. The organization that was responsible for the initial propaganda attack and the release of the video presented itself as acting independently, but it is well known that it is supported by donors who are also supporting Netanyahu in various relations. The video shows what is supposed to be a Palestinian terrorist coming at the camera with a knife. The voiceover says, “Next time there’s a terror attack, know who’s standing behind the terrorist. There are foreign agents sent by other countries.” Then it shows specific individuals, real individuals, from these human-rights organizations. It shows their faces, distorted just slightly—really like a propaganda film. It was really shocking—it signaled the beginning of a real attack on dissent. I think legislation was proposed before to attack human rights NGOs, but now the Knesset is passing a law in the context of these attacks. The video came out in December. Since then, Breaking the Silence has been in the news all the time—people attacking the video, others defending it. In particular there has been a proliferation of attacks on people for supposedly being foreign agents, or “moles.” They had blacklists of Amos Oz and David Grossman and other people who are considered very establishment figures. These individuals were attacked for sitting on the boards of various human rights organizations. They are accused of working as moles for foreign governments, in order to discredit them and cast suspicion on the entire organization. To some people on the center and right, this was distasteful. But there was also this opportunity to condemn these kinds of videos and advertisements and at the same time attack the leftist organizations. Now, the second narrative associates the mainstream left, like the Labor Party, with the radical left. The right is calling the radical left traitors and forcing the center left to either join the so-called “traitors” or denounce them as traitors themselves. This is a way of implicating all of the left as either traitors or as a lesser version of the right. That’s the political strategy. If you understand it in these terms, it has nothing to do really with Breaking the Silence; it’s just an opportunity to scapegoat, to portray these NGOs as traitors and thereby also implicate those who defend these NGOs. DP-L: What is your view of this law, and how will it actually affect Breaking the Silence? ON: Actually, two laws have been proposed. One says that representatives of an NGO whose budget comes from foreign governments (rather than private donors) would be required to wear a badge in the Knesset and to write explicitly on any report or document addressed to Members of the Knesset which foreign country funds them. But as far as I understand, Breaking the Silence actually doesn’t fall under this law. Everybody is really talking about it in connection to us, but it really doesn’t apply to us. Then, in January, a second law was proposed to outlaw Breaking the Silence specifically. Now, at least one positive thing has come about since this story started. Some people who would not have previously supported Breaking the Silence suddenly became very public in their support for the organization—former military generals who were very establishment, for example, along with people who generally were not public figures but who saw themselves as part of the liberal mainstream. Before, Breaking the Silence seemed very radical to them. But once these attacks started, these people found themselves defending the radical left, because suddenly there was no longer any middle ground to stick to. So that was a good thing for us, for Breaking the Silence, and the left in general. People are forced to choose, to stick their necks out. One other very interesting thing happened in response to the video that I described, and here Breaking the Silence did something very smart: Rather than accept the attempt to marginalize them, they asserted themselves as patriotic Israelis fighting for their country. A day or two after the video against them was released, they started publishing on Facebook photos of members of Breaking the Silence from when they were soldiers, in very patriotic postures. Each of them said, “Who are you to call me a mole? Where did you serve? You served in some office or some supermarket in the military. I served in the war. We’re proud Israelis. We’re soldiers. We’re defending Israel. Who are you to call us moles?” This language might have been off-putting to those who are averse to Israeli militarism, but it appealed to core Israeli symbols and tried to reclaim them rather than reject them wholesale. The result was fascinating. People who were not members of Breaking the Silence and who had never given testimonies to Breaking the Silence started posting pictures of themselves from their military service and adding stories that were basically testimonies of their own—posting on Facebook things that happened to them 10, 20 years ago. This just added more weight and substance to our own archives. So there was this wave of spontaneous testimony that people put forward as a way of supporting Breaking the Silence, but also in a very personal manner, without saying anything about politics, simply describing reality as they experienced it, as they remember it. That was deeply moving and surprising.